Goodness, it feels a while since I wrote a ‘personal’ post on the old blog, such has life been so busy lately. Firstly without going all ‘Gwyneth’ on you (I haven’t won yet!) and giving a great, sobbing speech, I want to say a MASSIVE THANK YOU to everyone who voted for me in the MAD Blog Awards and got me through to the finals of the ‘Best Home and Interiors Blog’ category, which takes place in September. When Alison text me to tell me on Wednesday evening that I was a finalist, I was genuinely shocked and over the moon! The MADS weren’t the awards I’d ever considered ‘getting anywhere’ in, especially as I hadn’t made the shortlist in ‘Style’ for The BIBS, so with only 6 finalists I thought I stood no chance, and hadn’t even really publicised the fact that people could vote for me, bar a half-hearted ditty on Facebook. I am super-chuffed to be among some brilliant peers in the blogging world in my category, including my lovely #MyHomeStyle co-host and friend, Emma, of ‘Life at The Little Wood’. We started blogging at similar times and it’s been brilliant to go on this blogging journey with someone supportive, and who has similar interests and passions to yourself (sorry if that makes you want to vom!). Whilst I think it’s important to not let awards rule on how you perceive how good you think your blog is, I have to admit it has been a huge boost. It’s perked me up confidence-wise, and encouraged me to keep plugging away at something I know I love, at a time when life has been so hectic and I’ve felt myself flagging a bit in everywhere area, despite having lots of help at home and with the children. So again, THANKS (you can vote for me by clicking the link at the bottom of the page!). On the home/life front, it’s less than 3 weeks now until our wedding, and also the loft conversion is on the final straight, with most of the horrible, dusty work complete. I’m not very good at living in chaos, and a few weeks ago, when we weren’t living at home, and stuff was everywhere, I was feeling totally overwhelmed and out-of-control, but now things are on a more even keel and I feel ‘back in charge’ so to speak. I can’t wait to marry Adam now and be his wife, and I’m also rather excited about (hopefully) never have to think of anything to do with weddings ever again! The children are their usual selves again, after a few weeks of being unsettled, and I can’t wait to have the summer with them. We have some great plans for July after Ad and I have been on our honeymoon, including a break to Butlins and our first ever camping trip with friends, but I’m mostly looking forward to chilling out and doing NOTHING (well, not much anyway!). Some outings maybe, but mostly just pottering and playing in the garden, BBQs with friends and just ‘being’. It’s been such a hectic year that it will be nice to have a calm period before Freddie starts school in September. Blogging-wise, I’m attending Britmums next Friday, and I’m looking forward to being inspired once more. I have loads of plans and ideas for posts/the blog in general, but feel I haven’t been able to give them full head space what with being so busy, and that should change after the wedding. I can tell I haven’t been in my normal blogging/social media flow as I haven’t been on Instagram as much as usual *the HORROR*. I’ve also been a bit of a flaky blog friend of late, and really want to have a few hours of an evening to comment and catch up on some of my faves. My big camera needs sorting out so I can take some lovely snaps once more, as a few weeks ago I had a fiddle with it on manual, and I have completely ballsed-up the focus- REALLY need to have another play! So that’s us really…just plugging away like everyone and trying to juggle everything. Hopefully the next catch up won’t be so long, and I’ll have some great posts to share with you, especially on the house and home front! 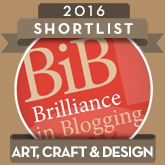 If you want to vote for me in the ‘Best Home and Interiors Blog’ category at The MADS, I would be ever so grateful! Just so, so delighted that we are in the finals together Becks. I’m honestly over the moon and would be every bit as happy to see you win! It’s been just lovely to find someone who thinks so similarly to me and I often wish we lived closer so we could catch up in person a bit more!